The architecturally exciting block of Bond between Bowery and Lafayette, home to Ian Schrager's 45 Bond, just got what passes for architecturally exciting in terms of pop-up shops: A giant portable store-within-a-store. "The cube," as its called, is a 1,000-square-foot space with its own lighting, racks, and fitting rooms that can be erected as a self-contained shop within any empty storefront (in this case, a storefront in the condo building25 Bond.) 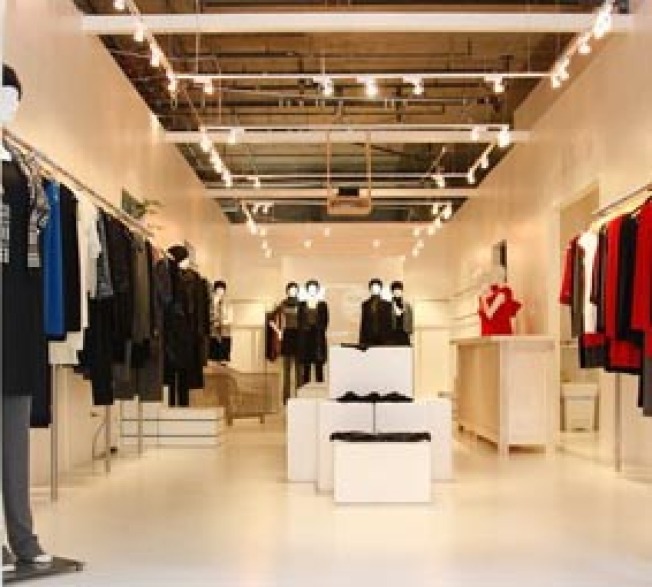 It's the first official store for the "high-end contemporary" company Iisli, which up until now has been selling at department stores like Nordstrom and Bergdorf. The clothes might not be for everyone—WWD describes a fall-winter collection "ranging from $98 for a T-shirt with subtle crystal logos on each sleeve to $1,000 for a sequin-encrusted sweater coat"—but if it's not your style, don't worry: By February the whole cube will have packed up and left anyway.